A bit of background... Sam and Nic of Pixiwoo YouTube fame are the brains behind Real Techniques. Both women are professional make-up artists and make informative and interesting tutorials on YouTube. 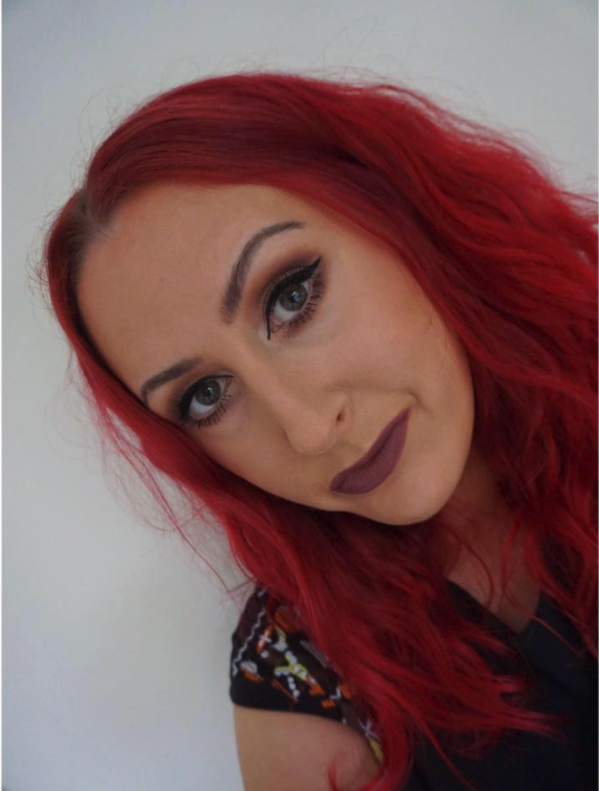 I've followed Pixiwoo near enough since the beginning, and met Sam many moons ago at what I think was one of the first big 'blogging events' with Barry M in 2009. 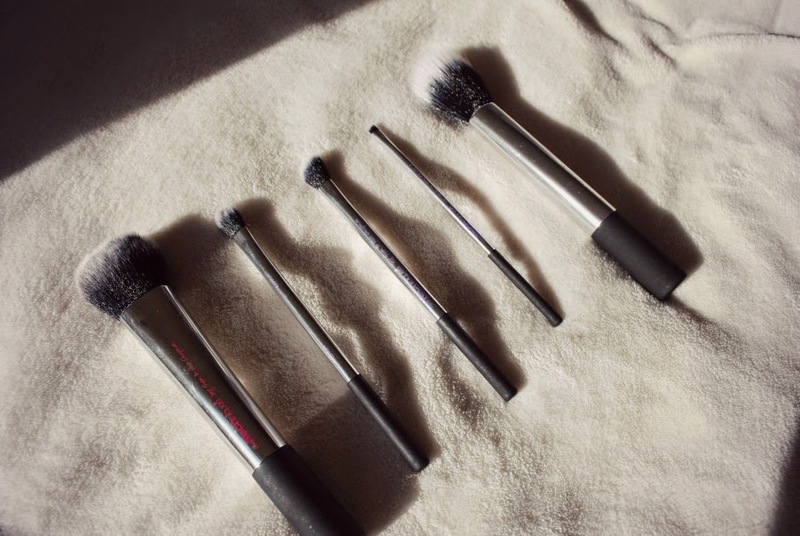 Real Techniques have taken the makeup world by storm with their affordable brushes, yet never compromise on quality or performance. Their brushes are rated by consumers and makeup artists alike, and if I remember rightly can be seen in a music video by Taylor Swift (don't ask me which one!). Since the launch of Real Techniques in 2011, I've slowly accumulated near enough the whole collection. 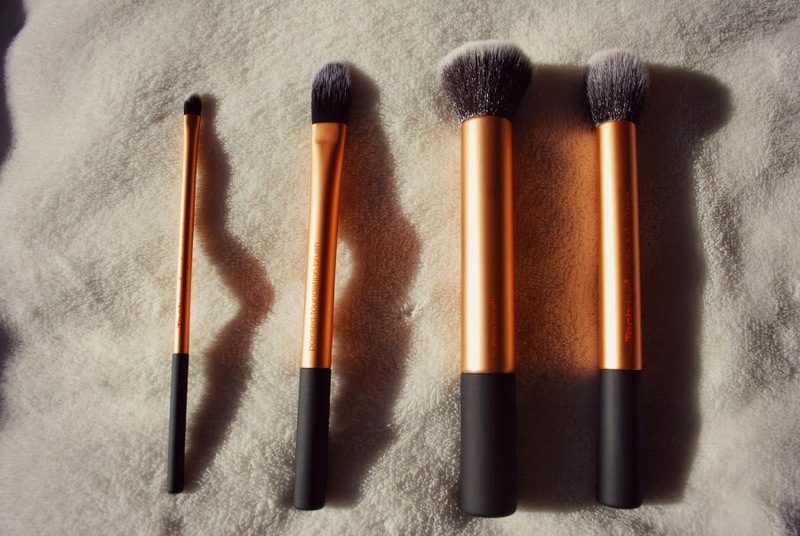 I really wish these had been around when I first started my blog/got really into makeup as it were, as I think they're such fantastic, versatile, affordable great quality brushes and they have near enough overtaken all my other expensive brushes. All the brushes are 100% synthetic meaning they're cruelty free, and they're also colour coded for their use - purple for eyes, gold for base, and pink for setting. Although of course, they all be used in multiple ways. This is gonna be a long post, so be prepared with a beverage and a comfy chair! There are five permanent brush sets available, three of which I have, and I also a further limited edition brush set. Most of the sets come with a handy storage case/stand which is great for travelling and also keeping them nice and tidy together. The core collection is comprised of four brushes all designed to create your perfect base/canvas, and comes with the panaromic 2-in-1 case and stand. All reviews are in order from left to right in the picture. This teeny tiny brush I don't really reach for that often, but if I do it's to either conceal minute spots/blemishes, tidy up eyebrows/add definition to eyebrows with concealer or a brow bone highlight colour, or for lipstick. I think it's a little too small to use for large areas of concealer and dependent on your product, still requires blending out as I find it can be a little streaky. It's a handy brush to have, but I wouldn't call it an absolute essential for me. Again, this isn't a brush I reach for a lot of the time. Well, at all actually. I think it's too small to do the whole face with for foundation and I think it's probably better for concealer application, or maybe even applying cream contour in specific areas. This brush... Seriously. I wish they sold it in singles as I'd be buying another one. I either use this for applying and buffing out liquid foundation, applying powder or applying blush. 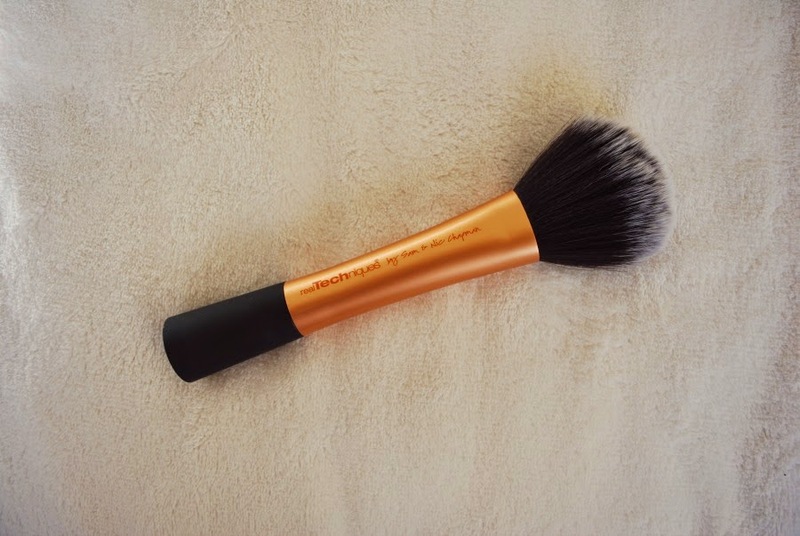 It is an absolutely amazing versatile brush. Contour brush: delicately applies highlighter to contour or create sheer, soft-focus finish. Again, I really wish they sold this brush in singles. I wasn't convinced it would be big enough for contouring, but it turns out it's the perfect size for my face and my contour has never looked so good. 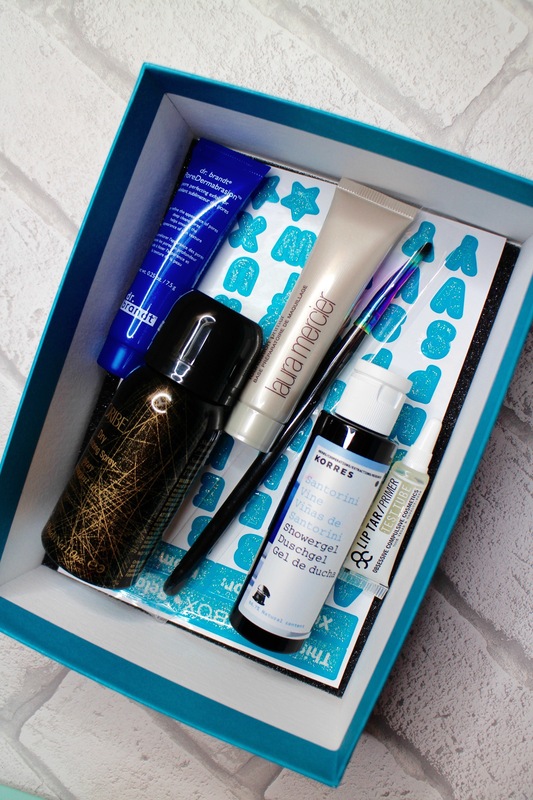 It applies just the right amount of product without going overkill and blends it out effortlessly. This instantly replaced my MAC 109 for contouring from the first use. That's how good it is. From a personal point of view, I think the pointed foundation brush and precision detailer brushes are a waste in this set. That's not to say they are bad brushes by any means because they're not, at all. 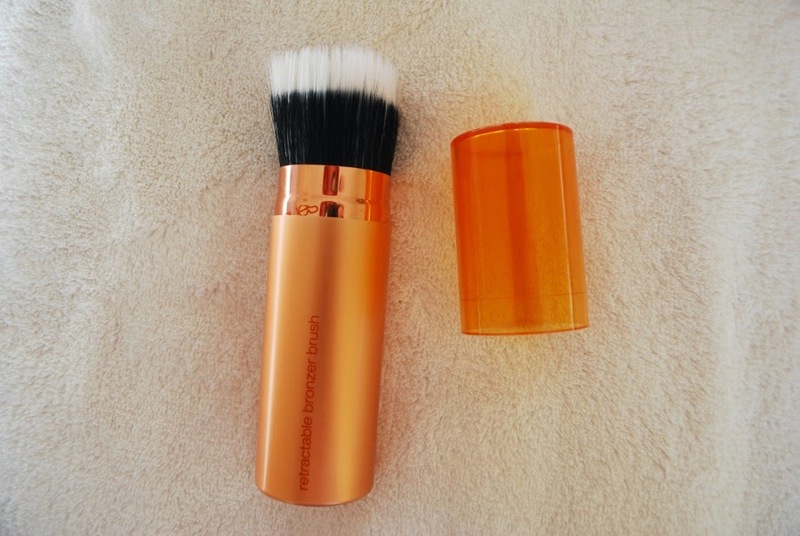 I just think there could have been some better brushes in this kit which would have been used more, such as a domed concealer brush which is great for buffing out concealer or the Expert Face Brush (review in singles below). Some may disagree of course. However... the buffing brush and contour brush really really win this kit back. As mentioned, I wish these were sold as singles but they're both star brushes and both so versatile. Would I recommend? Yes, if you have no base brushes. If you're like me and already have a fair few base brushes, you could probably get away without this kit. The starter set contains five eye brushes and comes with the panoramic 2-in-1 case and stand. As with the previous set, reviews are in order from left to right in the picture. This brush is pretty big for a crease brush. It has a large dome like shape to the bristles and has a fair bit of resistance to it. I personally can't get on with this as a crease brush, I find it tends to wipe away the colour as the bristles are quite tightly packed in. I do however love this as an under eye concealer brush and I've seen the Pixiwoo ladies use this regularly for the same purpose. I'm always grateful for a spare eyeliner brush as I use gel eyeliner every day. This is a good little brush, but it's personally a bit too long for my liking. It is good for getting into the inner corner, but I don't find it has enough resistance as it's so long. I think really this is just personal preference, as it's a good little brush, but I guess I'm just used to what I know. This again was a brush I didn't think I would use as for an eyebrow brush, as it's actually pretty big. The bristles are a lot longer than your average brow brush sold by MAC let's say, and it's definitely wider at the tip. As it's slightly larger, I'd say it's easier to use than a smaller brow brush, and I find it provides a more natural finish due to the size of the bristles. It's more difficult to get exact definition with this due to its size, but I like it for days when I don't want really 'strong' eyebrows. I also find it good for blending out eyebrow product if I've gone a little OTT. I've seen Pixiwoo use this also for placing sharp crease colour too. I really didn't think this brush would be any good for applying colour. It looks too fluffy and doesn't seem to have much resistance which wouldn't be good for packing on colour. 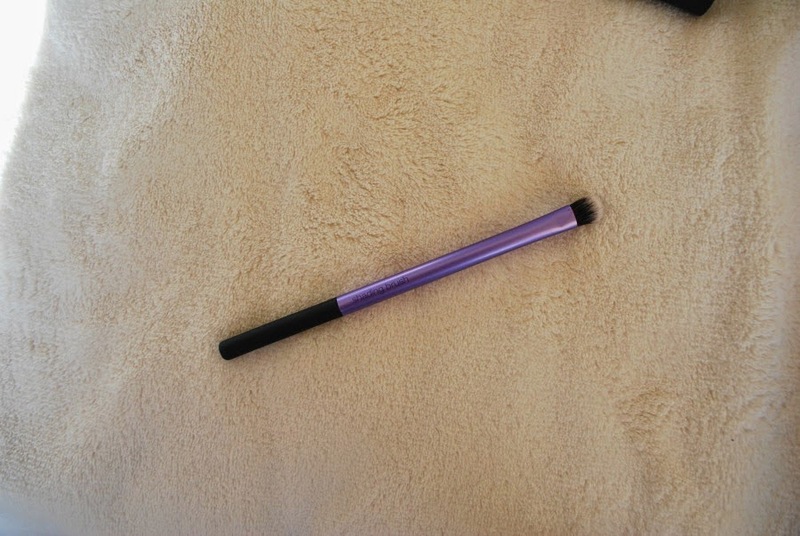 However, I was completely wrong and this is now my go-to eyeshadow brush which I use constantly. The brush effortlessly packs on colour, and the fluffy end doubles up as a great blending brush. Again, I wish this was sold as a single. I thought this would be a brush I wouldn't use much, but now I use it every day. It is tiny. And I mean really small. I find it great for applying inner corner highlighter, smudging colours underneath, smudging eyeliner, and applying colours underneath. Even if you already have some eye brushes, if you're lazy like me it's great to have some back ups for when your other ones are dirty. Not to mention they are great brushes which may even replace your expensive brushes like mine have! Would I recommend? Yes. 100%. Even if you already have some eye brushes. 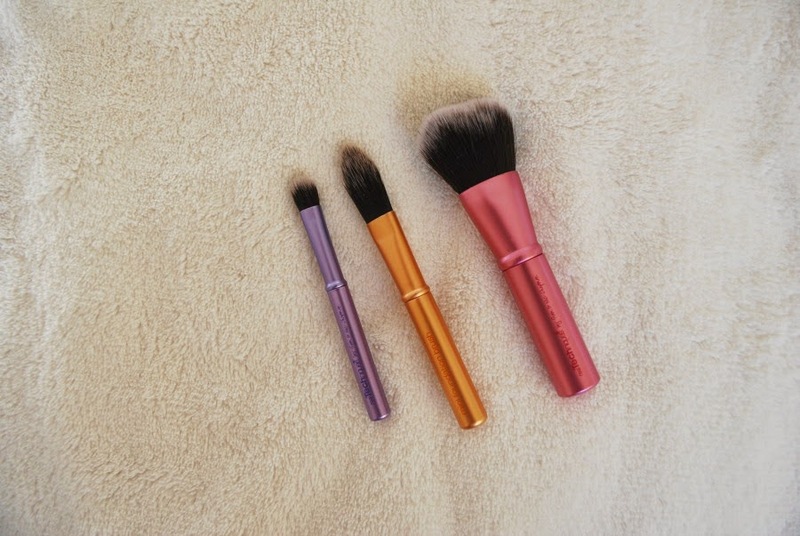 The Mini Brush Trio is pretty self explanatory - three mini sized brushes which are great for travelling. The brushes also come with a little travelling pouch - although, I don't remember this pouch when I bought them! As this brush is so tiny, this is pretty useless if you have to do your makeup start to finish on the go. I use this for when my foundation needs a little bit of smoothing out or my concealer needs touching up. Out of the mini trio, this is the one I use the most. 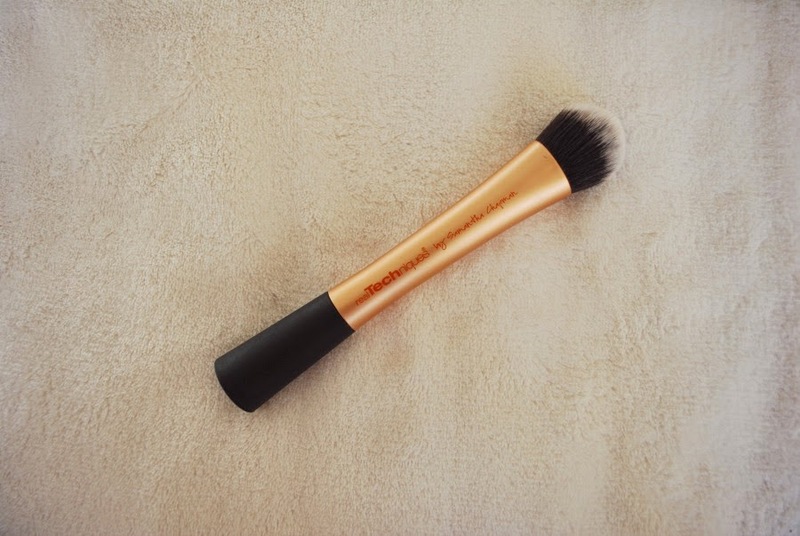 It really is a great little multi-tasking brush that is so handy in your makeup bag for topping up blush, powder and bronzer. 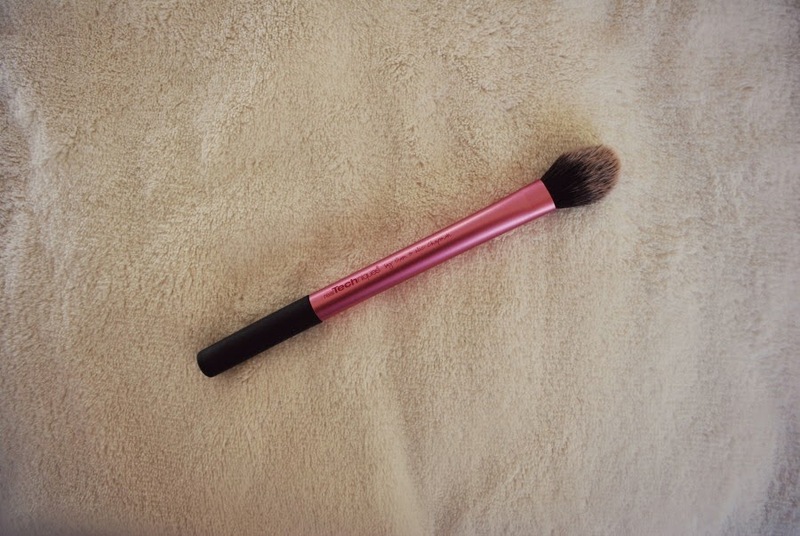 mini face brush: effortlessly apply powder, blush and bronzer as needed during the day. Would I recommend? Yes - these are really handy to keep in your makeup back for on to go touch ups/emergencies. Nic's Picks is a limited edition set consisting of five of her favourite brushes, with three brushes exclusive to the set. They feature a beautiful silver chrome handle and the set can complete any look. This was the brush I was most excited for out of the set. It isn't like your normal fluffy blush brush, it's a tapered brush meaning the bristles 'pinch/point' as it were at the ends. I find this great for contouring and also if I want to make my blush a little stronger. This brush isn't a set exclusive, it also comes in the starter kit, but I'm still happy to have another one spare. See above in the Starter Set review. 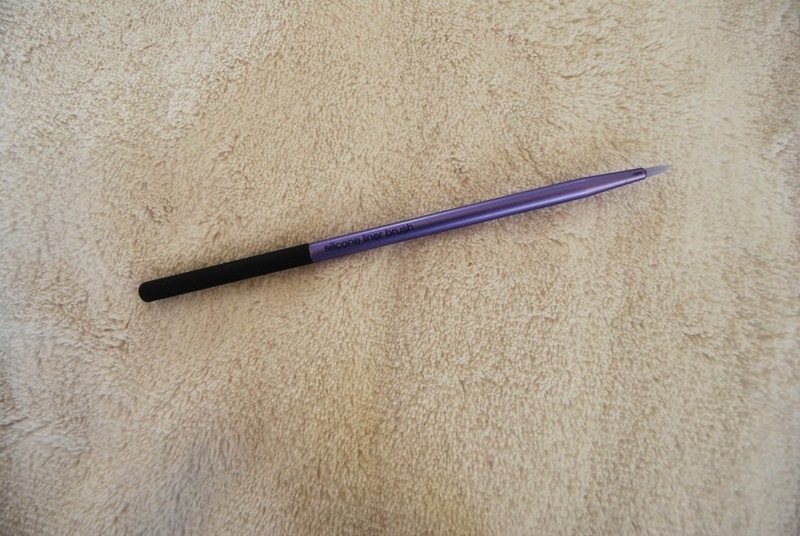 This is a fluffy angled brush that is great for applying colour into the crease. I generally tend to use this for my transition colour and for blending that in together. This is really small angled brush with really tightly packed bristles. I initially used this for eyebrows but it's too small to use to do a full brow as it takes so long, but I find it great if I need extra definition if I've gone a bit pluck crazy. It's also a good brush for smudging out under eye colour/liner. I haven't used this for gel/liquid liner as I personally prefer fine liner brushes for that. I haven't really used this brush a great deal as I'm not a big fan of long bristle duo-fibre brushes. Although, I did use it for powder highlighter the other day and it applied just the right amount without being OTT. I've also seen this rated very well for applying liquid foundation, although I personally haven't tried. Would I recommend? Yes, definitely. There are two other sets available at the moment. One is the Duo Fibre Collection and the other is the Travel Essentials set. There has also been a limited edition Sam's Picks set, but this is now only available on selected online retailers. Now... Onto the single brushes. One of the great things about Real Techniques is that they sell brushes separately. 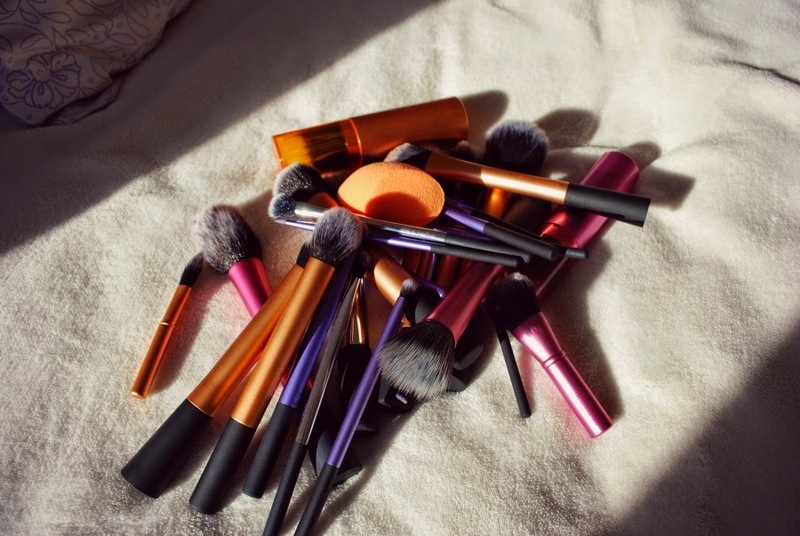 It's a little annoying that some of the great brushes from the sets aren't available on their own, but all of the single brushes should cover your needs. I'll start with the base brushes I have. Honestly, if someone said, 'I'm going to take away all of your Real Techniques brushes except one', this would be the one I would keep. This brush is my absolute favourite, and I recommend this to everybody. It applies foundation flawlessly and buffs it in to the skin so easily, without leaving any lines at all. As it's more of a buffing brush, you can choose to either have a light coverage or build it up to a fuller coverage using this brush. Seriously, you need it. I did a wedding back in June and I'm sure all of the bridal party I used this on went out and bought their own one after they saw the results. Would I recommend? Yes. Yes. Yes!!! First of all, please excuse that it looks dirty, it isn't, I promise! I think we've all at some point in our makeup lives experimented with those standard foundation brushes. You know the ones I mean, the ones which leave ginormous streaks across your face, yeah? When I got this brush, I really thought it'd be the same. Minus the different shape (slanted, rather than pointed), the bristles are tapered like a 'normal' foundation brush and I really thought this would just like the others. I was wrong. Somehow the slanted bristles really work and don't leave the dreaded streaks as normal foundation brushes do. I usually use this when I want a bit more coverage as it requires very little effort. I will say that it does need a little bit of buffing in after using it, and I do find around the nose it can be more difficult to use. If I had to choose however between this and the Expert Face Brush, it'd be the latter. Would I recommend? It's not that I wouldn't recommend it, because it is a good brush. But, I think overall the Expert Face Brush is better for me personally. If you like a fuller coverage your foundation and you like to do it in as little time as possible, I'd probably go for this. This brush is REALLY big. A lot bigger than I thought it would be anyway. 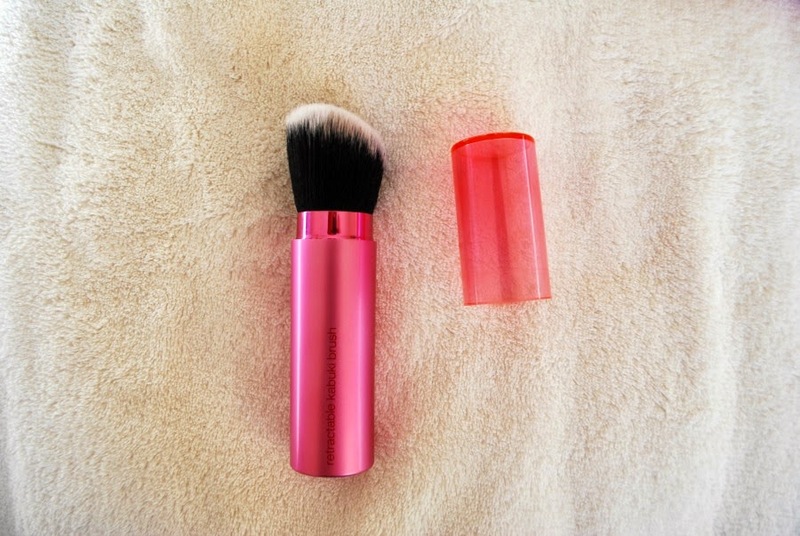 It is a really large fluffy brush, but still provides enough resistance to get a decent coverage of powder. I don't use mineral foundation so I can't comment on how good it is for that, but I use powder every day to set my foundation as I have the worlds oiliest skin. To be honest, I don't have a great deal to say about this brush. It does what it's supposed to do - provides a decent, even coverage of powder without a great deal of effort. If we're talking from a personal perspective, it's probably not quite as densely packed as I would usually like, but I like quite a lot of coverage from my powder. Would I recommend? Yes, I would. If you're after a straight forward powder brush that provides a fairly decent coverage, go for it. If you're like me and prefer a fuller coverage from your powder, I might give it a miss. I will point out that as this brush is so big it's not practical for taking round with you in your day to day makeup bag. However, the travel kabuki brush (reviewed below) would solve this problem. This sponge is another winner out of the Real Techniques collection for me. It's fair to say this is the RT version of the infamous Beauty Blender. 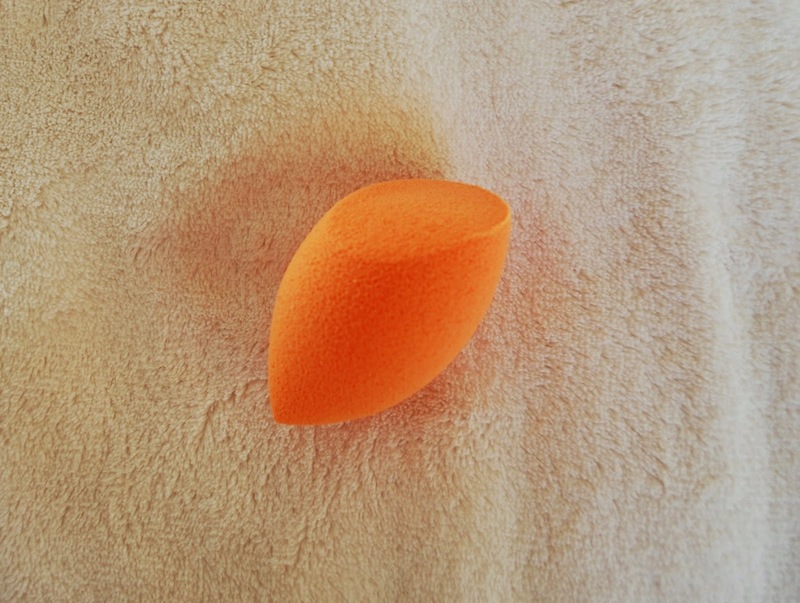 I will say now that I have never used a Beauty Blender, and I don't care what anyone says about how wonderful they are, I absolutely flat out refuse to pay £16 for a sponge. Anyway... If you don't know what this little wonder sponge does, I'll let Sam's video explain. I use this sponge for foundation and sometimes concealer. It really is a 'miracle complexion' sponge as it provides effortless flawless coverage. I use the flat side to apply my foundation, and then if any areas require any fuller coverage I will use the rounded size to 'push' the foundation on in bouncing motions. If I use it for concealer, I will use the pointed end to again push the concealer onto the skin. It really is a great little multi-use tool that I would recommend to anybody. Would I recommend? Yes yes yes!!!! The only downside I will say is it is difficult to clean, but I seem to have solved that problem with brush cleanser. I was pondering whether to bother reviewing this brush, purely because I bought it by accident. I saw the travel brushes had been released, picked this up without looking in Boots thinking it was the Kabuki brush... Obviously it wasn't. As I mentioned above, I'm not a fan of long haired duo fibre brushes such as this, so I haven't really used it. I have however been using it recently for highlighting and it does the job. To be honest, I can't imagine it being particularly good for applying bronzer which is it's supposed purpose as the bristles aren't that tightly packed together, so all I can envision is it giving a streaky finish! I might be wrong though. Let me know in the comments if you have had any success with this! Rating: I'm not going to give one! I use this brush for applying eyeshadow all over the lid, and considering it's size, it's a pretty good brush for packing on colour. It's one of those brushes which I think everyone needs due to its versatility - blending, applying colour, under the eye, smudging - it does it all. My only complaint is that it's a little small, and I prefer the Base Shadow Brushes in the sets, but I use both equally! Okay, I'm going to put this bluntly - I hate this brush and it's quite possibly one of the worst brushes I have ever used. I was so so sooooo excited when I saw this was coming out; I use gel eyeliner every day, and a brush which promised no product absorption or losing it's shaped seemed like it was the answer to my eyeliner dreams. And then I finally got hold of it and tried it and.... It's awful. I've watched the video tutorial over and over again and I just cannot get it to work. It picks up the product fine, but it just dumps it one spot. By this I mean usually when I do my eyeliner, with a normal brush I can get one full line in one swipe; with the silicone liner brush, it just drops the product in one place and it's impossible to make a strong full line. I had to keep going back over and over with it and adding more product to the brush, and I'll be honest, I just haven't got the patience to do that!!! If you have managed to get this to work or have any tips, please let me know in the comments! And finally, on to the setting brushes! If my memory serves me rightly, this was my first Real Techniques purchase! I was after a new blush brush, due to that as much as I love my MAC 129, the incessant shedding of brush hairs on my face was starting to test my patience. 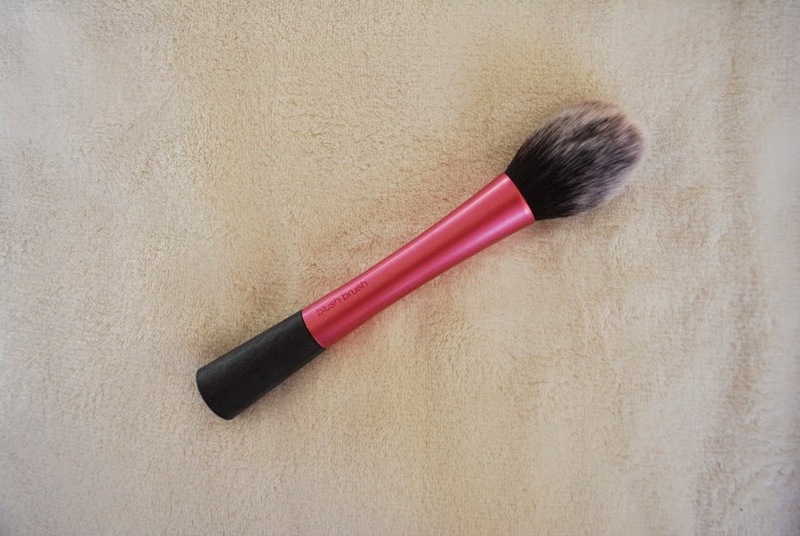 Anyway, the RT blush brush is quite a large blush brush, very fluffy and has a slight pointy dome shape to it. It says in the description it could be used for contouring, but personally I would find this too big for that. I think this brush is middle ground for me - I don't love it, but I also don't hate it. It isn't a bad brush at all and I still use it regularly, but I don't think I'm ever going to find a blush brush I 100% love. For me sometimes the bristles are a little too large for applying for example a particularly strong blush and I end up resembling a clown. But, I think it's just personal preference/what I'm used to. Would I recommend? Yes, I would. I think this was the second RT brush I bought, and it's only recently that I've come to love it. I think before I just didn't really know what to use it for and it's just sat there unloved. However, recently I've noticed my blusher doesn't seem to be lasting throughout the day and decided to layer my blush starting with a cream blusher - this is where the stippling brush has had it's time to shine! I lightly dip the brush into the cream just so there is the tiniest hint of colour on it, and this brush beautifully blends in cream blusher without leaving lines or making me clown-like. I love it. I haven't tried it personally, but I've seen others use this for liquid foundation with great results too. I love this brush. I use it every single day to set my under eye concealer with a finishing powder. It's the absolute perfect size for that area, deposits just the right amount of product whilst also blending beautifully. 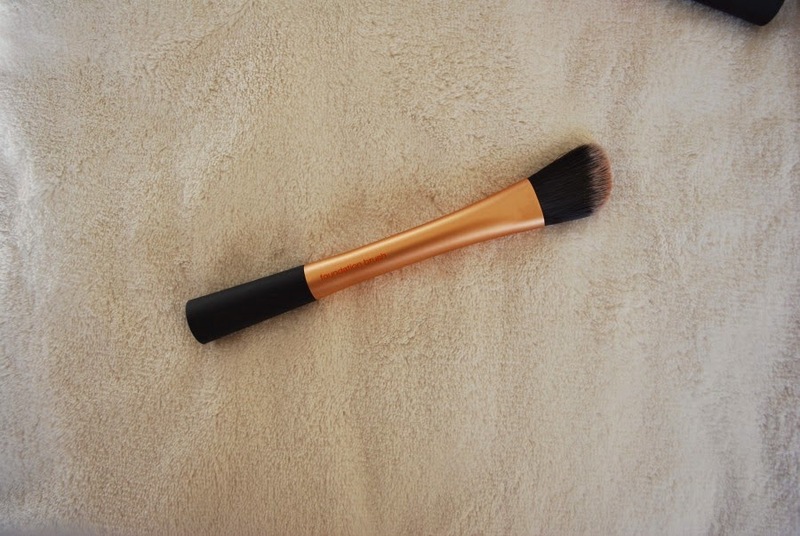 This brush can also be used for highlighting and contouring but I personally haven't tried. I think it'd be too small for contouring really, but probably a good size for highlighting. Would I recommend? Yes, fantastic brushing for setting smaller areas. 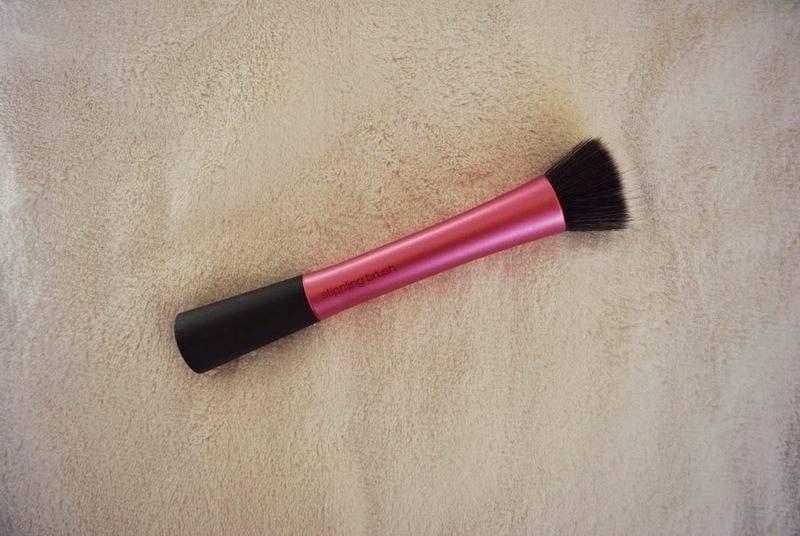 Retractable Kabuki Brush; an essential on-the-go tool that evenly applies powders, bronzers or blush. Ahhh I absolutely love this brush. As mentioned in my Powder Brush review, I like quite a lot of coverage from my powder, and this tightly packed in brush provides just that. It has a slight angle to it, so it's versatile for contouring, bronzer, and both cream and powder blush. This is always in my makeup bag and I wouldn't be without one. Although... I must say, this isn't my first one. My first one sadly broke. The glue must have come loose and it came apart at the base - I was most upset!! Especially as I hadn't washed the brush at this point (naughty naughty) - I could have maybe understood if I had washed it and the water had got into the ferrule and loosened the glue, but it hadn't been near a touch of water. Thankfully though, I emailed Real Techniques who told me to return the product to where I bought it (Boots) who gladly exchanged it for me. If you made it this far you deserve a medal as that was a mammoth post! 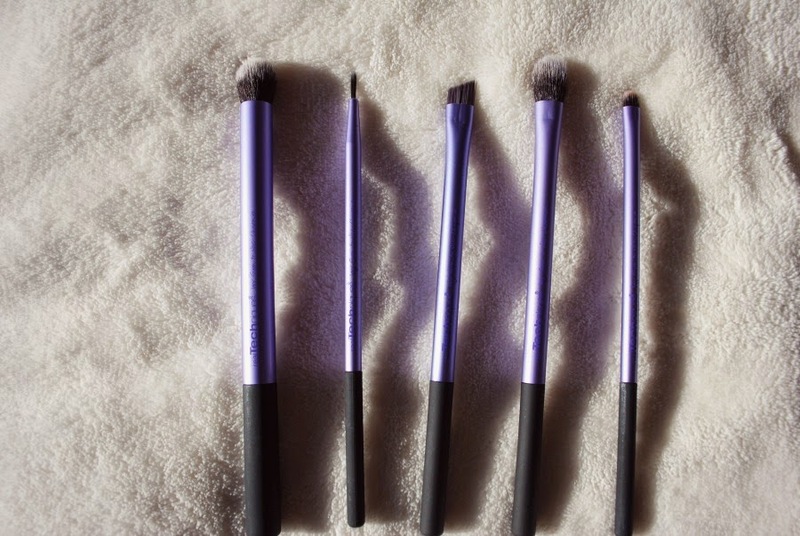 Overall, I would definitely recommend Real Techniques brushes if you're after some decent makeup brushes without breaking the bank. They have definitely overtaken my more expensive brushes and I reach for them daily. Hi! I'm Caroline. This blog is where I make my life look much more interesting than it is. Mostly about makeup, sometimes about other life stuff. Enjoy!